Framing isn't something that must be left to the professional. 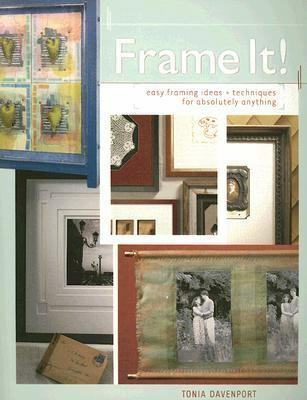 This text describes how to use both ready-made frames and inexpensive framing materials to create perfect frames for photographs, pieces of artwork or souvenirs.Davenport, Tonia is the author of 'Frame It! Easy Framing Ideas & Techniques for Absolutely Anything' with ISBN 9781581806885 and ISBN 1581806884.